A homemaker, family was central in her life. Service times: Monday, January, 28, 2019 at 11:00 a.m.
Patricia A. 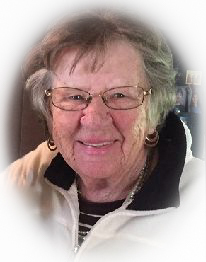 "Tish" Wasche Urban, 86, of Columbia, passed away on Tuesday, January 22, 2019 surrounded by her loving family at the Lancaster General Hospital. She was the wife of the late Gerald F. Wasche, Sr. who preceded her in death in 1971 and the wife of the late Claude W. "Bud" Urban, Sr. with whom she was married 25 years until his death in 2000. Born in Columbia, she was the daughter of the late Lewis and Marie Keyes Kauffman. A homemaker, family was central in her life, she worked alongside her husband "Bud" who was the founder, owner and operator of Bud's Spring Service, Lancaster. Tish also worked for the former Kahn-Lucas Manufacturing Company and for many years was the crossing guard at Holy Trinity Catholic School. Tish was a devoted member of Holy Trinity Catholic Church, Columbia, and volunteered at the annual Lenten fasnacht sale and the 300 Club. She is survived by her sons, Jerry F. Jr. husband of Debbie A. (Noll) Wasche; Brian E. Wasche; Jeffrey A. husband of Carol L. (Hartman) Wasche; grandchildren, Angel, Mindy, Nicole, Brian, Ashley, Kayla; great-grandchildren, Ian, Ethan, Kayla, Brian, Bella, Addy and Jack. Her sister, Betsy McBride and brothers, Lewis "Luke" husband of Roberta Kauffman and Lamar, husband of Carolyn Kauffman also survive. She was preceded in death by her stepson, Claude W. Urban, Jr. and siblings, Virginia, JoAnne, Mary Lou and Thelma. A Mass of Christian Burial will be held from Holy Trinity Catholic Church, 409 Cherry St., Columbia, PA 17512 on Monday, January 28, 2019 at 11:00 a.m. with the Rev. Stephen P. Kelley, Celebrant. Burial will follow in Holy Trinity Catholic Cemetery. Family and friends may view at the church one hour prior to the mass. In lieu of flowers, kindly consider contributions in Tish's memory to Hospice and Community Care, PO Box 4125, Lancaster, PA 17604 or at www.hospicandcommunitycare.org.